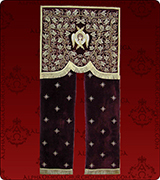 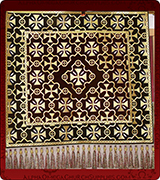 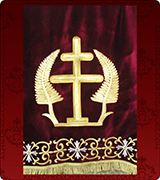 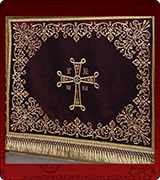 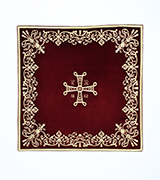 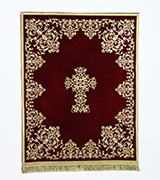 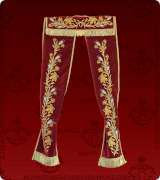 Embroidered Burgundy velvet Icon Stand Cover. 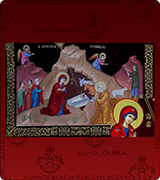 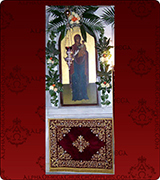 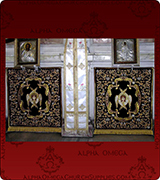 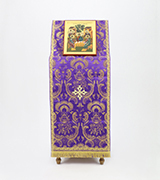 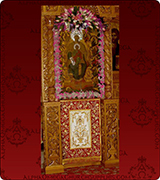 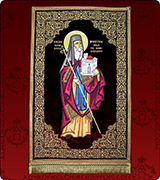 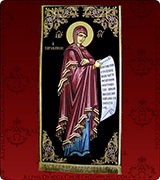 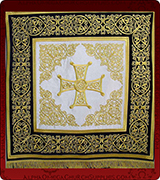 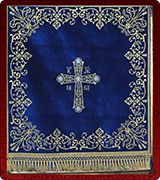 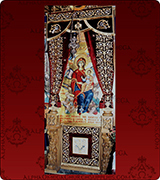 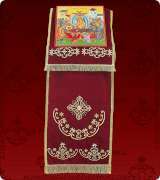 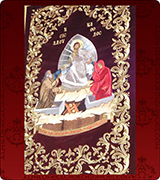 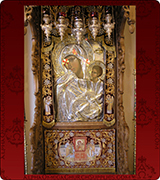 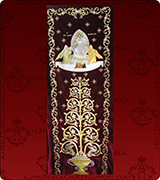 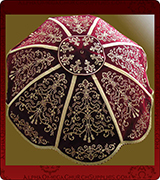 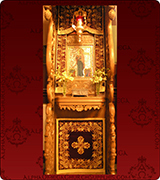 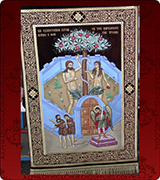 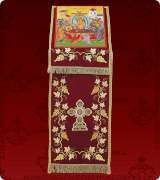 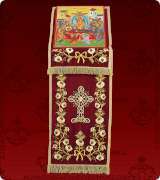 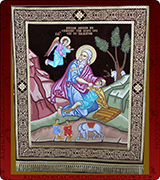 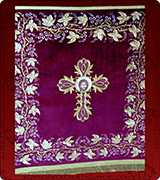 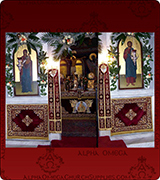 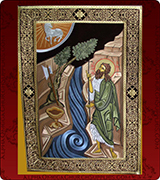 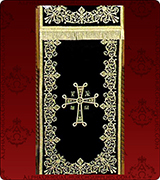 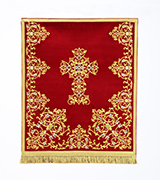 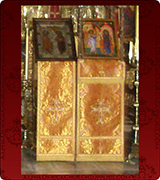 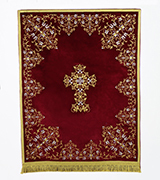 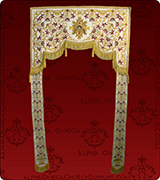 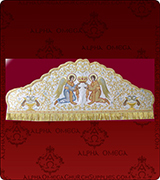 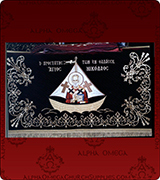 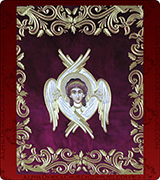 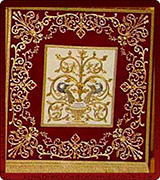 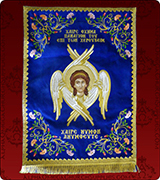 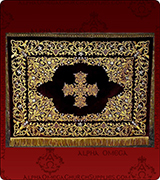 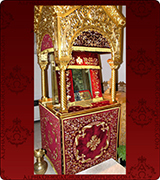 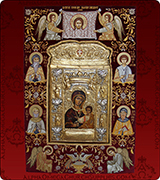 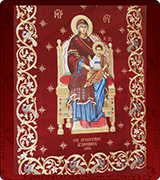 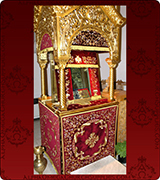 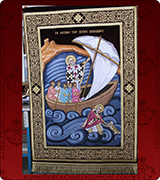 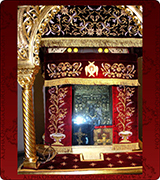 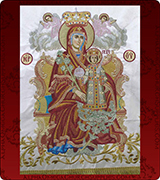 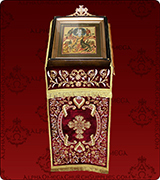 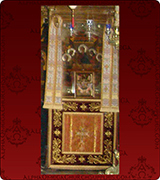 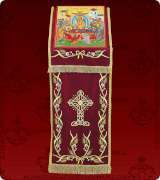 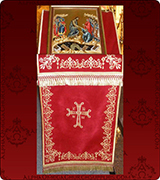 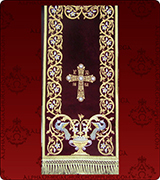 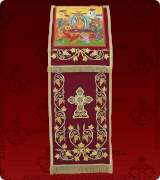 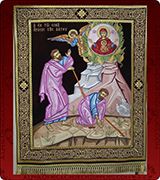 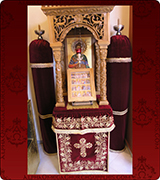 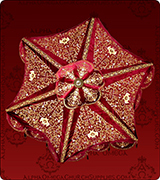 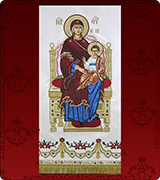 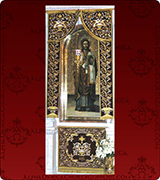 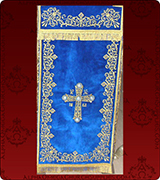 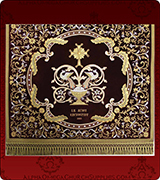 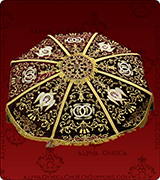 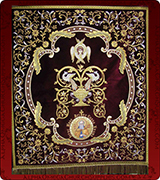 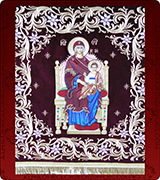 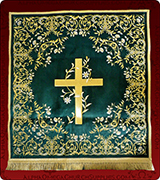 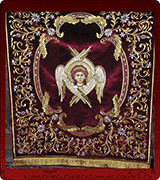 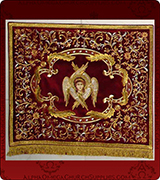 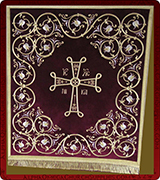 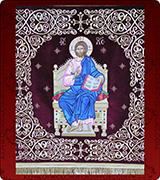 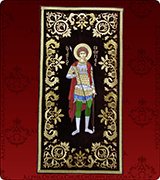 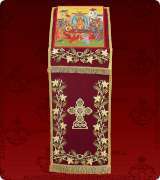 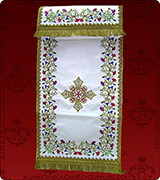 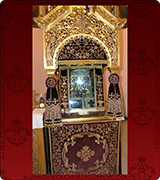 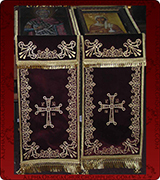 Embroidered Red satin Icon Stand Cover. 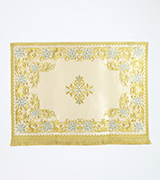 Off White metallic sip, Embroidered Item.